Keeps Diabetes under check - People suffering from diabetes can fulfill their sugar cravings by adding this vegetable to their diets as it releases sugar very slowly in the blood. Not only this, its low on calories too. Treats Anaemia - This vegetable contains a lot of iron. Iron helps in the transport of nutrients and oxygen to various other parts of the body. Its the iron and not the color of the vegetable that helps treat anaemia. Beats Constipation - It helps regulating your bowel movement by softening stools and flushes out the harmful toxins from the stomach. Boosts Brain Power - By drinking beetroot juice a person's stamina is increased by 16%. Its known to increase oxygen uptake of the body. 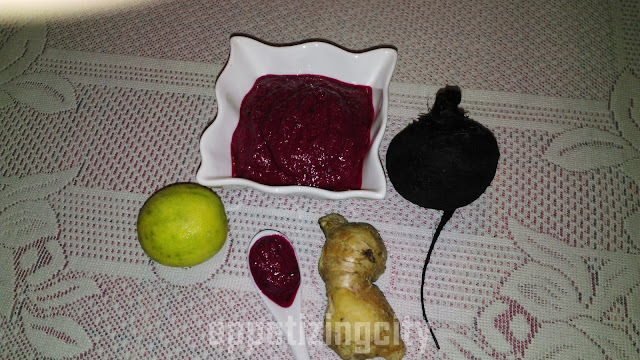 Beetroot Dip Recipe -- Simple, quick and easy.. Preparation Time - 20 minutes. Cooking Time - 1 hour. 500 gms beetroots - peeled and coarsely grated. 2 garlic cloves, coarsely grated. Ginger, peeled and coarsely grated. 125 ml of unsweetened apple juice. 60 ml of balsamic vinegar / lemon juice. Put beetroot, garlic, ginger, apple juice and balsamic vinegar in a medium heavy saucepan. Stir constantly over low low heat until apple juice dissolves. Increase heat to medium and bring to a simmer. Reduce heat to low and cook, covered, stirring occasionally, until beetroot is tender. Remove pan from heat. Using a wooden ladle, pour the dip in sterilized bowl. Set aside to cool before you serve. For Beetroot Jams in a an air tight jar - Storage for up to 6 months. 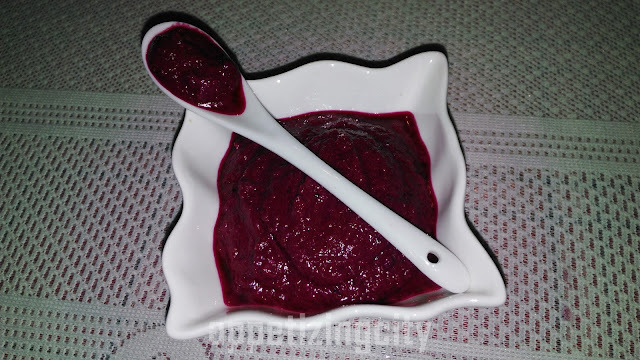 For Beetroot Dip in a bowl - Storage in fridge for up to 6 weeks.